The magic of our job as wedding photographers is capturing those unique moments which will tell your wedding story. This is what inspires our creativity and helps us to connect with the couples we work with. We also make sure that we shoot a seamless session without any stress for you and your groom. 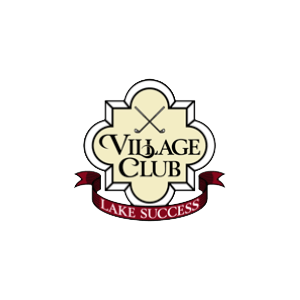 You’ll find the Village Club of Lake Success situated on the banks of serene Lake Success, with stunning views of placid waters and verdant foliage. This venue provides the perfect backdrop for your special celebration and those memorable wedding photographs. Its Spanish-deco architecture and immaculately manicured lawns, your ceremony will be unforgettable, and you and your guests will be talking about your wedding for years to come. The Banquet Room: An air of elegance encapsulates the banquet room. From its large windows flooded with natural light to its ornate light fixtures. The dark hardwood floors add a contemporary touch, and the high-vaulted ceiling with geometric inlays add to the ostentatiousness. The Outdoor Terrace: The outdoor terrace overlooks the Club’s expansive grounds. Nestled in native blooms and foliage, its wooden frame is immersed in colorful decorations, designed to enhance our shots of your wedding vows. This is the perfect spot for an outdoor summer wedding, when the flowers are in full-bloom, adding their natural decorative elegance. The outdoor terrace is perfect for your wedding ceremony or your reception. The Outdoor Ceremony Area: This venue is located conveniently close to the banquet area, the outdoor ceremony area is surrounded by breathtaking landscaping which allows for an open ceremony without tents so that you can exchange your vows beneath the beautiful blue heavens. This tree-lined space is also perfect for those romantic wedding photographs. When you book your wedding at The Village Club at Lake Success, you are required to have a minimum of 50 guests. You can also hold your rehearsal dinner here, with a minimum of 20 guests. For your rehearsal dinner, you and your guests will be served delicious meals from a unique menu. Wedding receptions are limited to six hours. This does not include extra time for setting up an cleaning up. Your celebratory event can be booked either during the morning or the evening hours. The Village Club of Lake Success has a preferred caterer for its wedding venues. You will find that Philip Stone Catering offers a sumptuous menu specially designed with your choice selections. All dishes are made with the best quality, fresh ingredients. If you have guests with special dietary needs, this is not a problem. You may also add a wedding cake to your catering package. Call us today to discuss your wedding plans, take a look at our portfolio and find out more about how we can capture your special wedding memories for posterity.